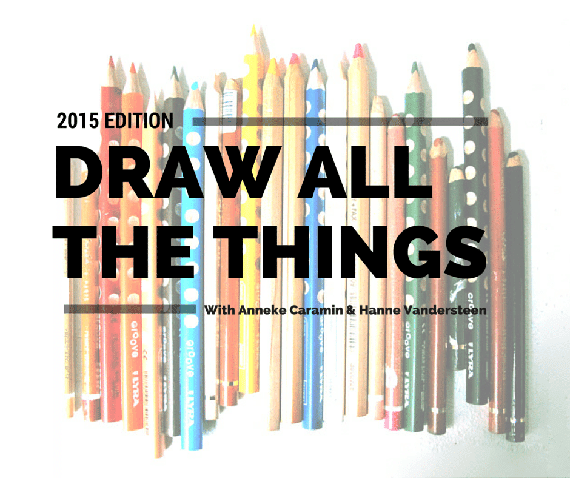 Anneke Caramin: Draw all the things? Draw ALL THE THINGS! Remember how last year Hanne wrote an excellent series of posts on drawing, and I attributed a post giving some tips to make your fashion sketches look pretty? Well, we're bringing this back with more tips and techniques! So you are all welcome to draw allll the things this week! Learn about proportions of the human body! Including sketches that show how hands are the same size as faces! Easy ways to put drawings on fabric or clothes! Carve a stamp without carving yourself and print your own fabric! Dip your toes into designing patterns for digital fabric printing! Learn about pattern repeats and discover the secret of tiling! Learn how to draw clothing and fabric textures so your sketches look like you'd better frame them! And above all: try something new, get some ink on your hands and have fun!